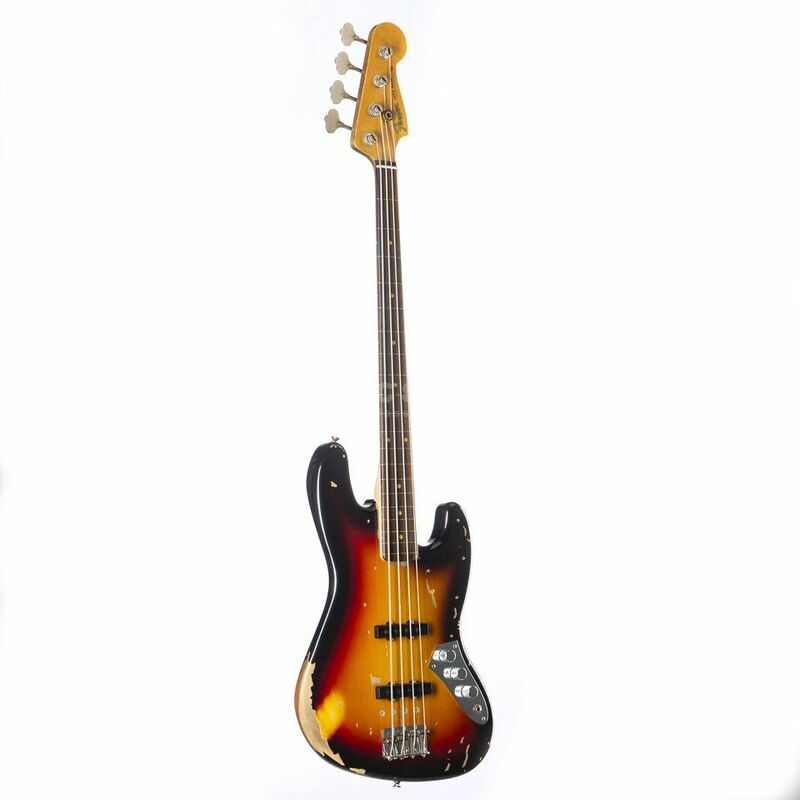 The Jaco Pastorius Fretless Electric Jazz Bass Guitar 3-Tone Sunburst Distressed is a faithful re-creation of Jaco’s famously distressed sunburst-finish fretless Jazz Bass, meticulously researched in cooperation with his technician. Features include a select alder body, specially shaped maple neck, epoxy-coated fretless rosewood fingerboard and knurled chrome Precision Bass control knobs. Included Accessories: Deluxe Black Hardshell Case, Strap, Cable, 4-Pack of Picks, Certificate of Authenticity, Polishing Cloth.